As well as our carefully crafted formula for moving households, we have the same formula for the perfect office move. We take the same care and attention to every detail when we move companies. When your company is planning a move, there are two things that are of primary concern. First, is the sustained down-time your company will have, and second is the workflow disruption the move will cause. 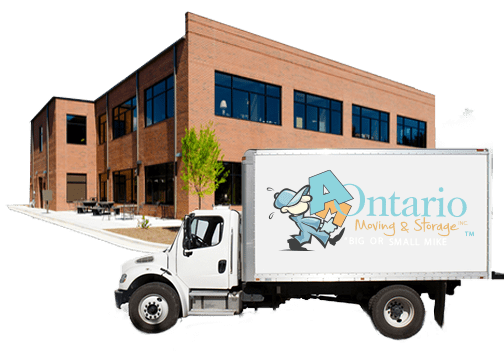 At Am Ontario Moving and Storage in Richmond Hill, we try our very best to implement a successful moving plan that will help reduce the impact to your company. Good communication is one aspect that we never overlook. Staying “in the loop” with your team during the move operation is key to a successful move. Moving offices may involve critical events, such as timing and the arrival of key equipment that your business needs to function. You may also need to move office furniture and files that are less critical but equally important to your businesses function. We help manage the work-flow, and keep you informed every step of the way. Our main focus is to work with you and, execute your moving plan successfully, whether you’re moving across town or across the province of Ontario. And major cities across Ontario!